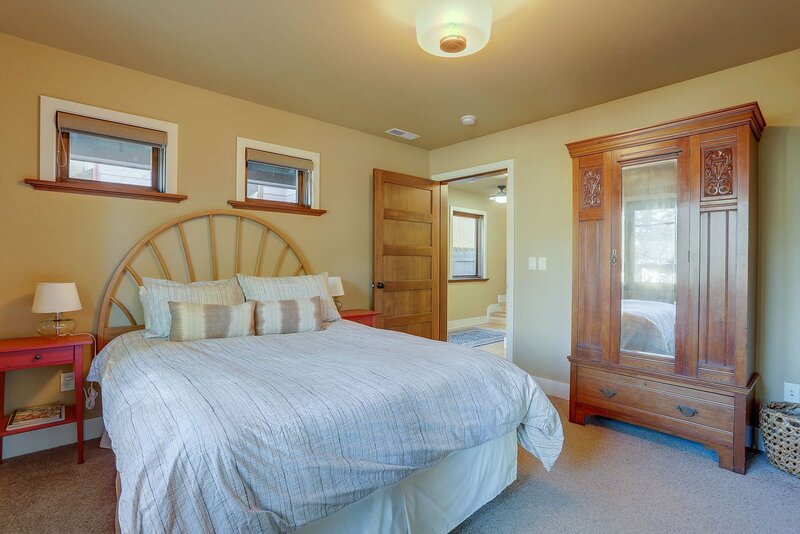 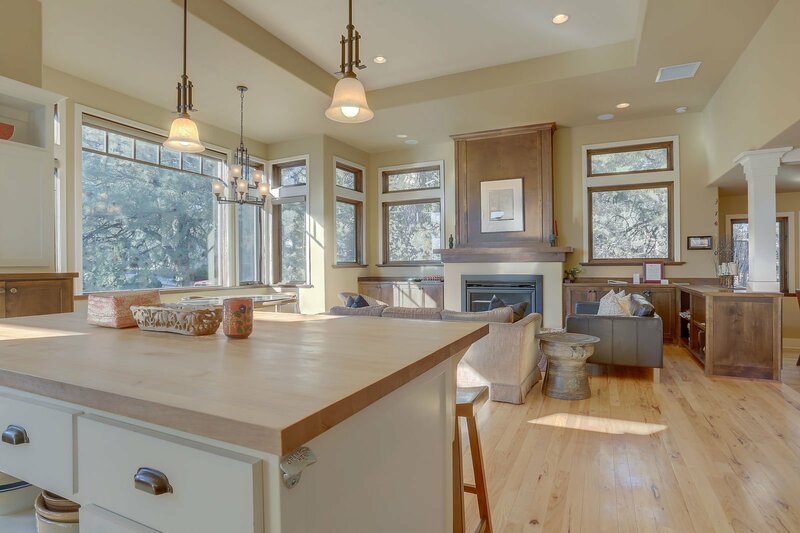 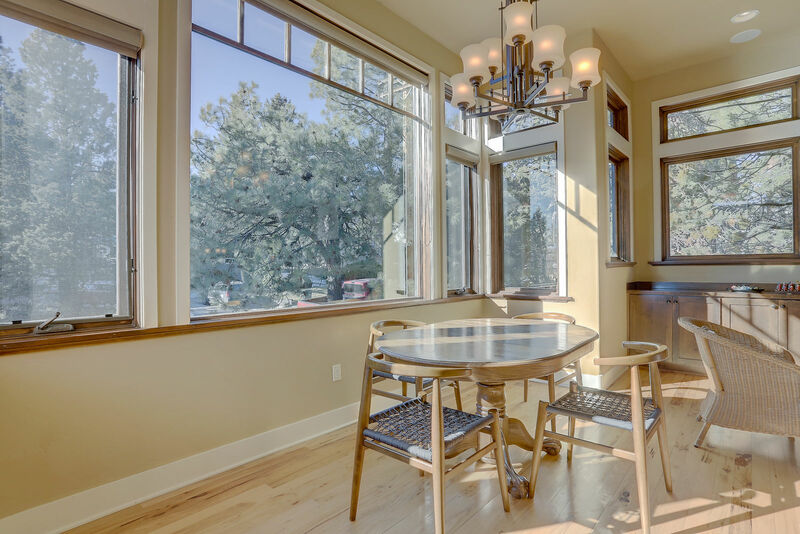 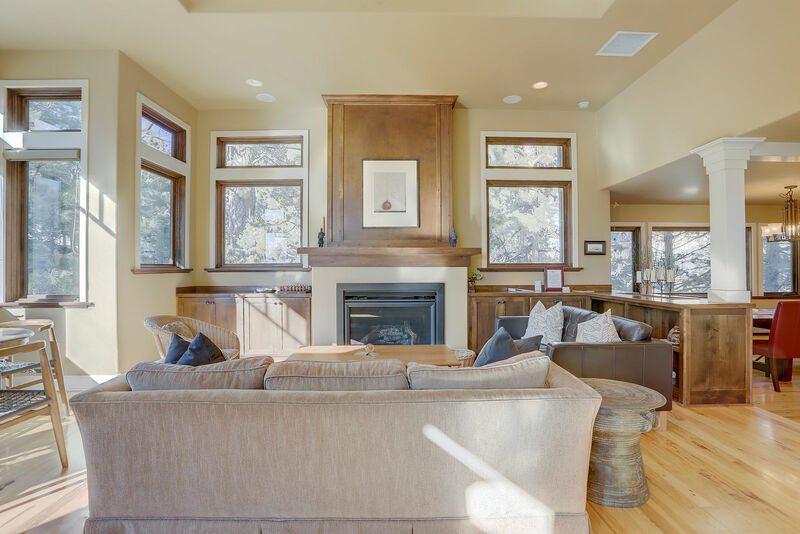 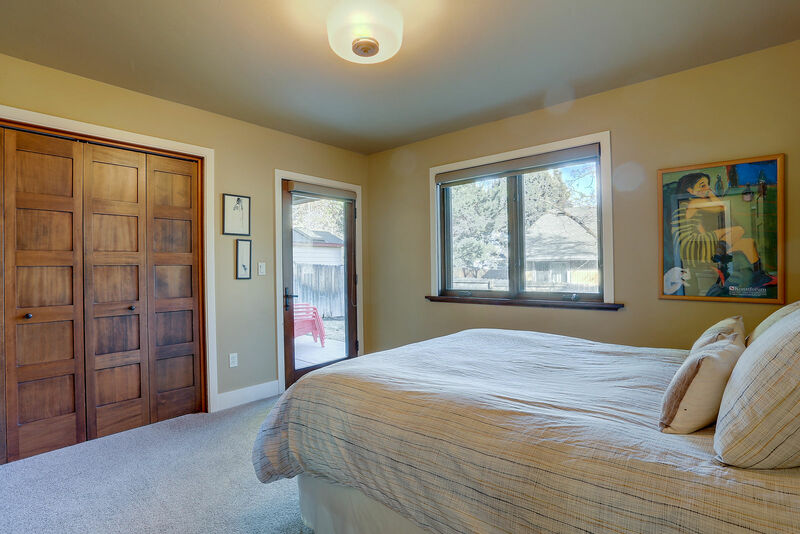 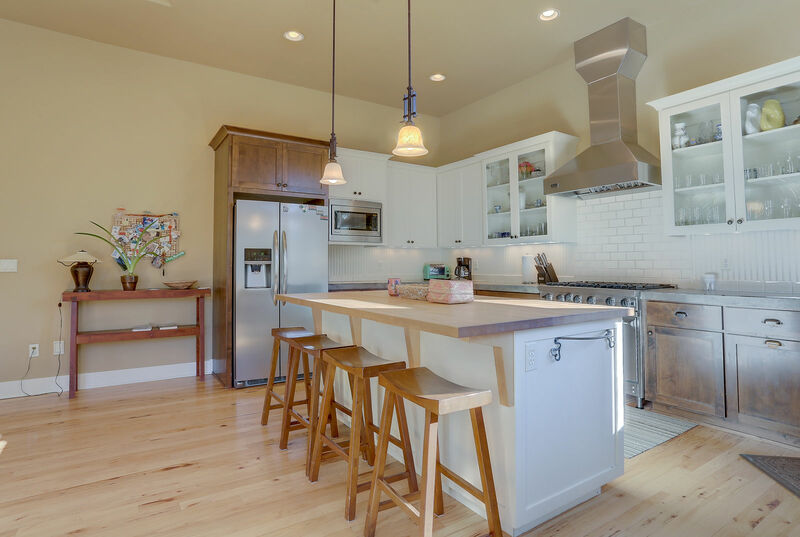 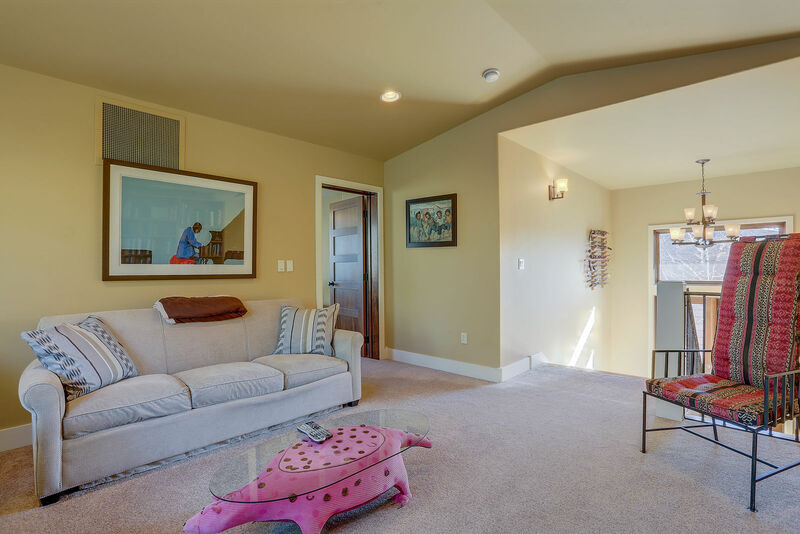 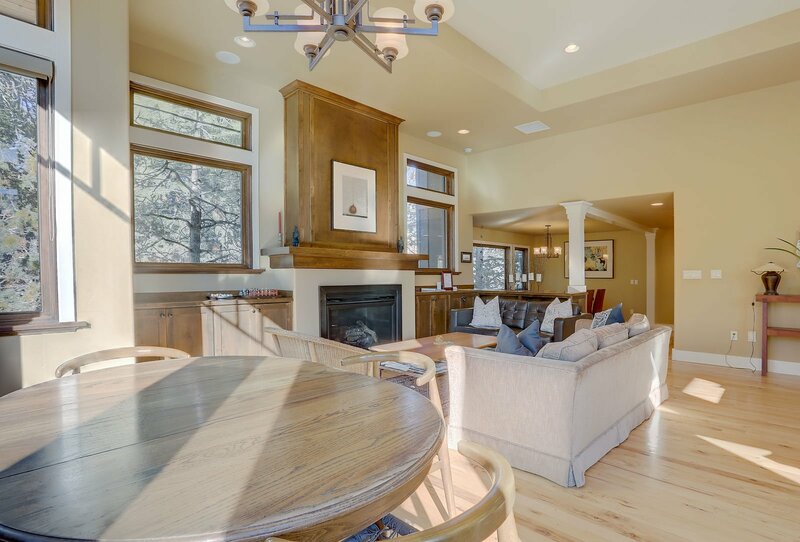 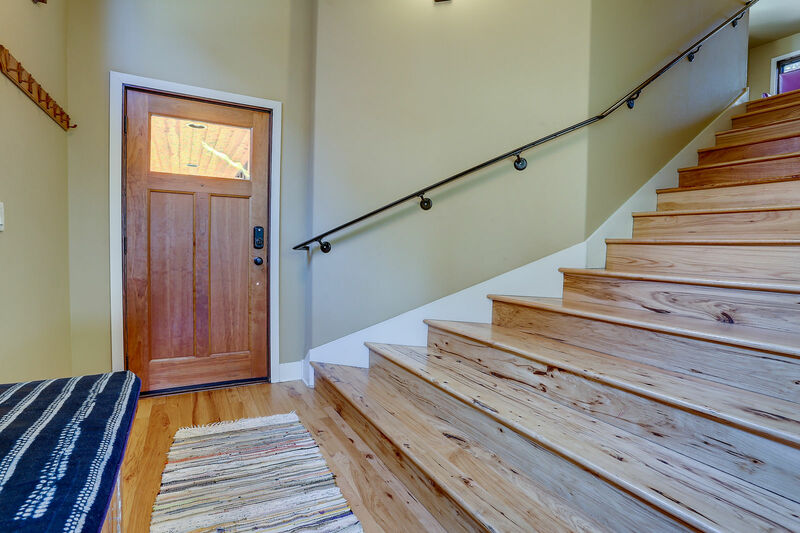 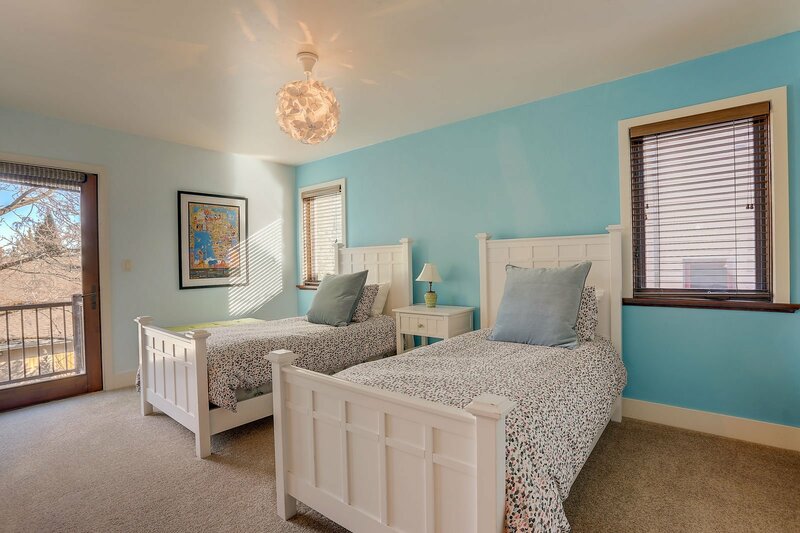 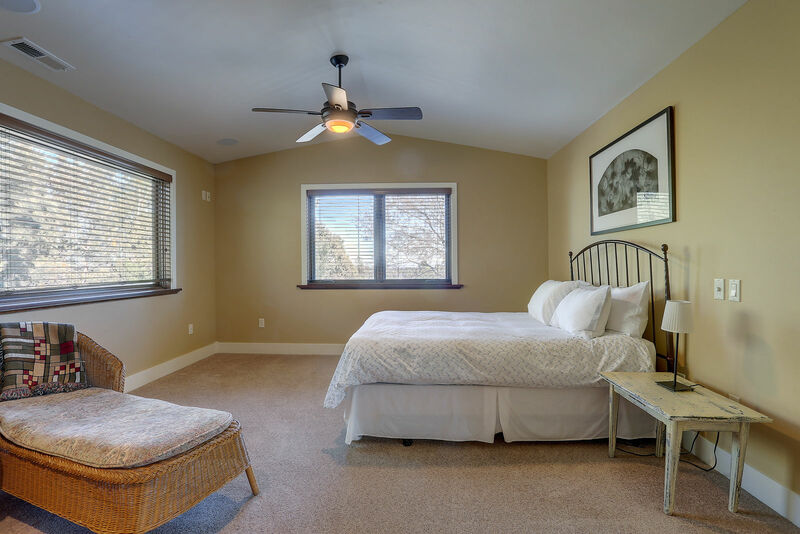 One of the coolest Bend rentals to vacation in, Hill Top is a deluxe four-bedroom home on the south side of Awbrey Butte, on Bend's west side. 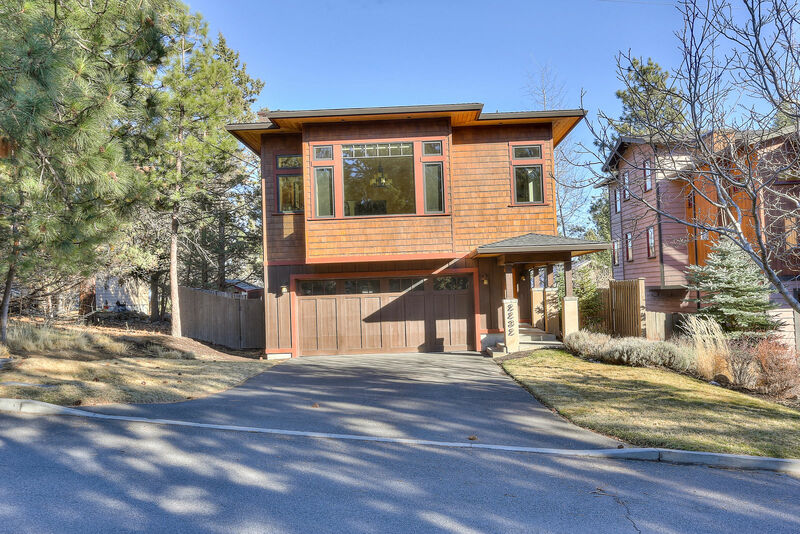 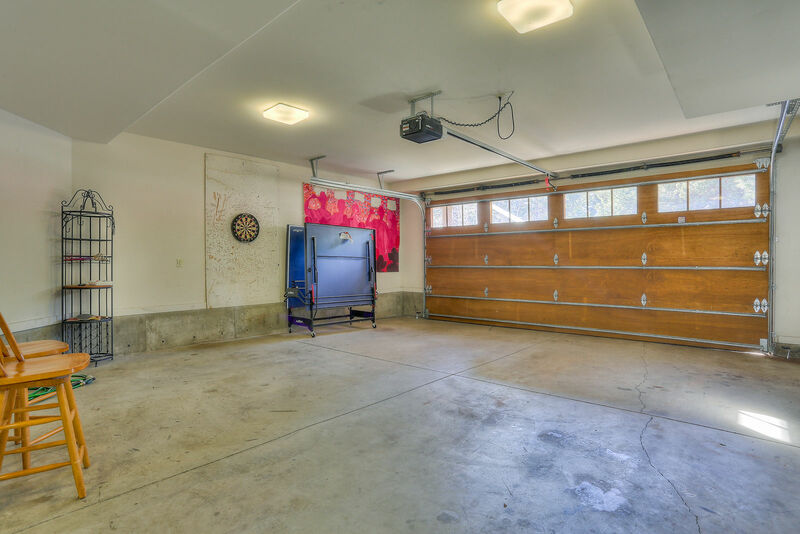 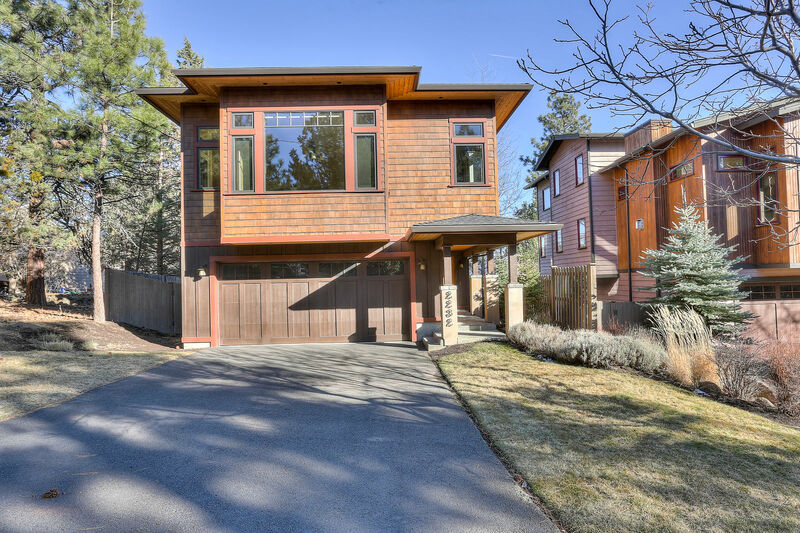 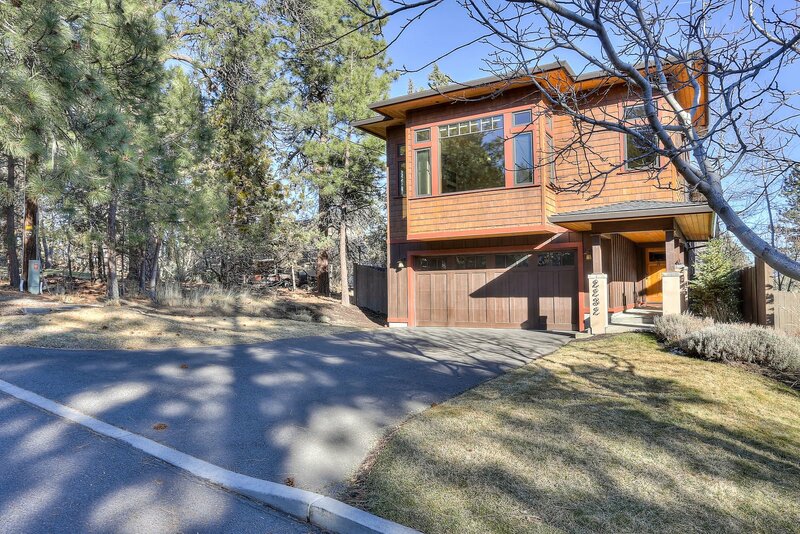 Located in a quiet hillside neighborhood about ten blocks from Downtown Bend, it is within walking distance or a short bike ride to the Deschutes River at Drake Park. 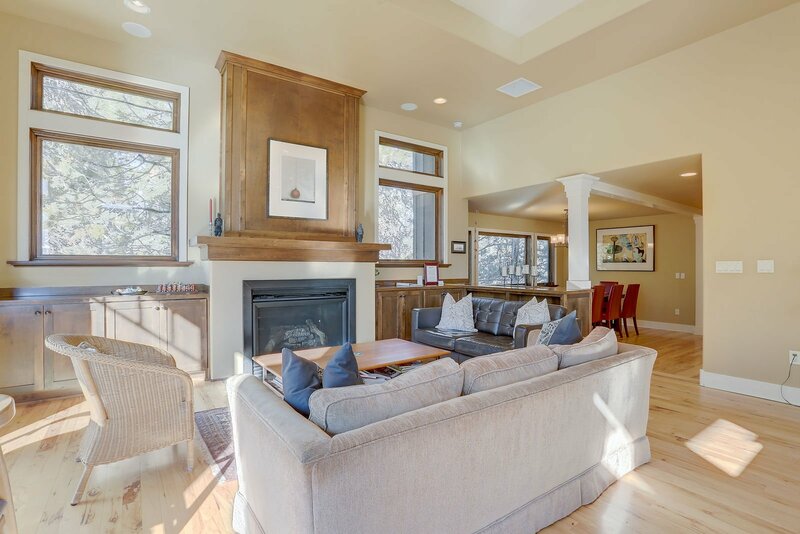 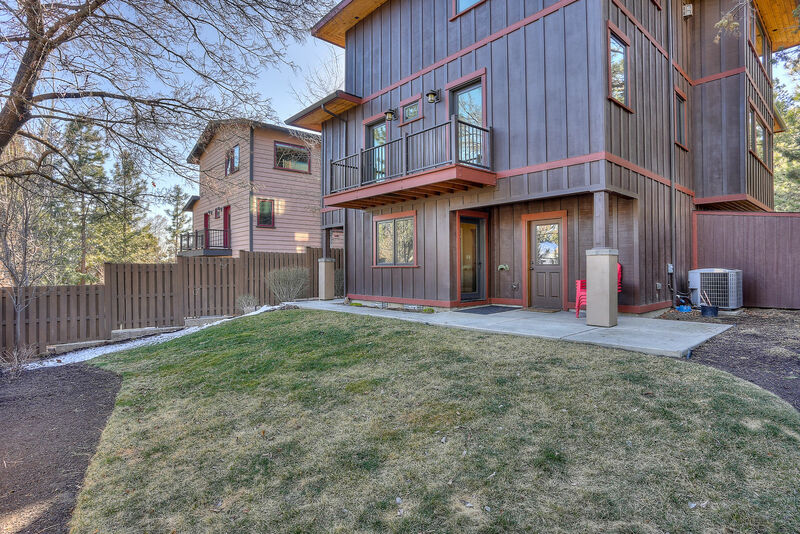 This three-story, architectural home has a second floor open living, dining and kitchen area with beautiful windows that let in lots of natural daytime light. 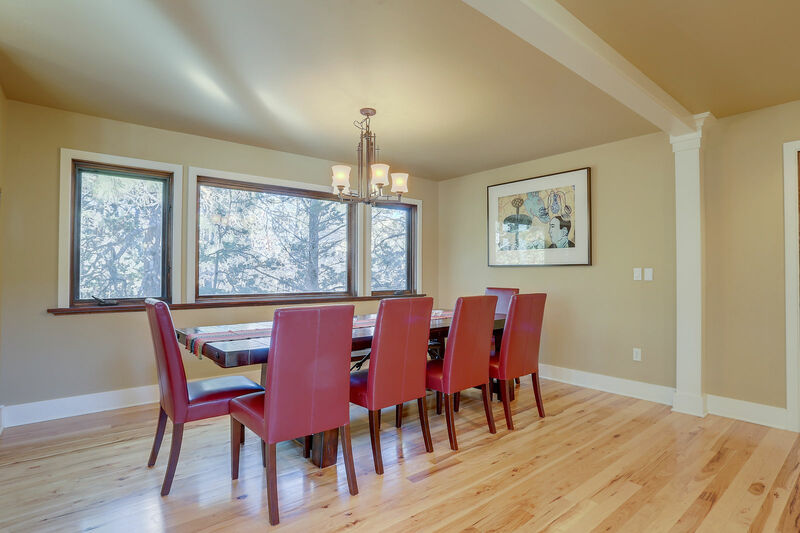 The living room has a gas fireplace, and the dining area seats eight. 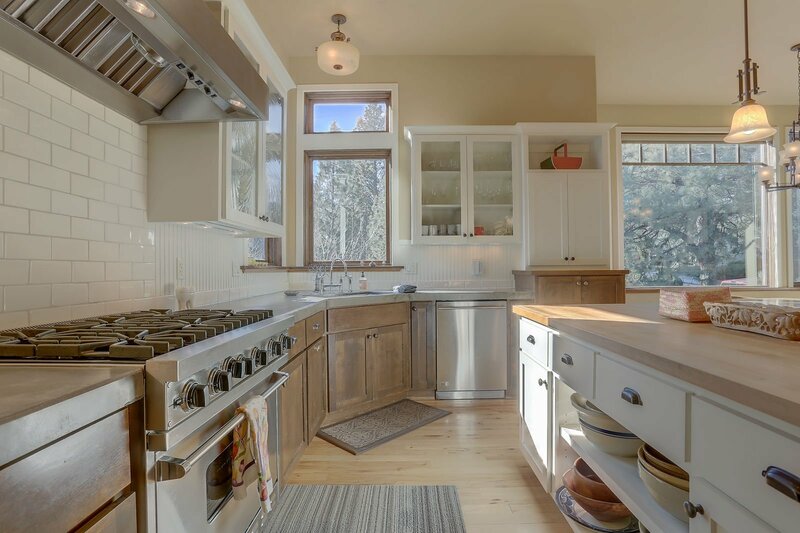 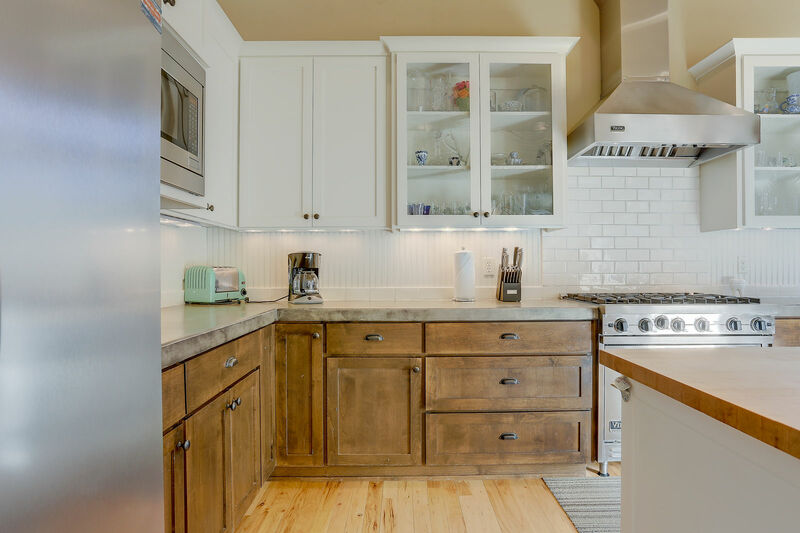 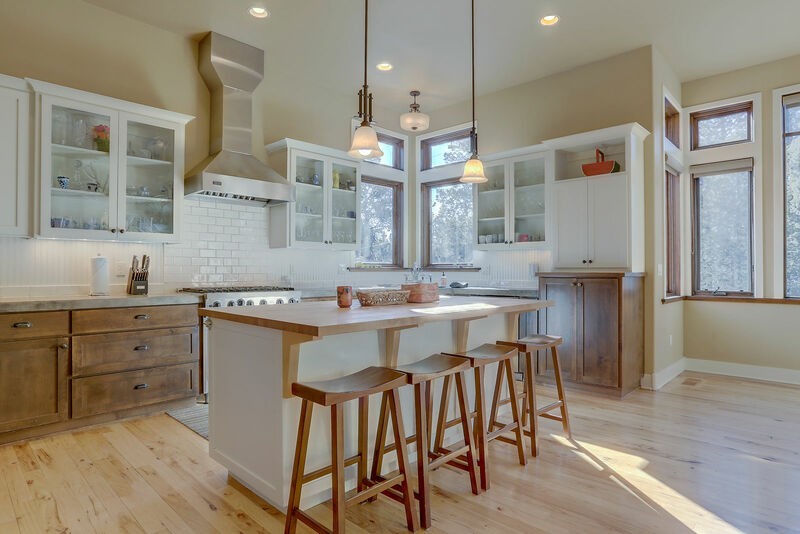 The elegant, gourmet kitchen has a Wolf six-burner gas range, stove and chimney hood, a Sub-Zero refrigerator and seating for two at the large island. 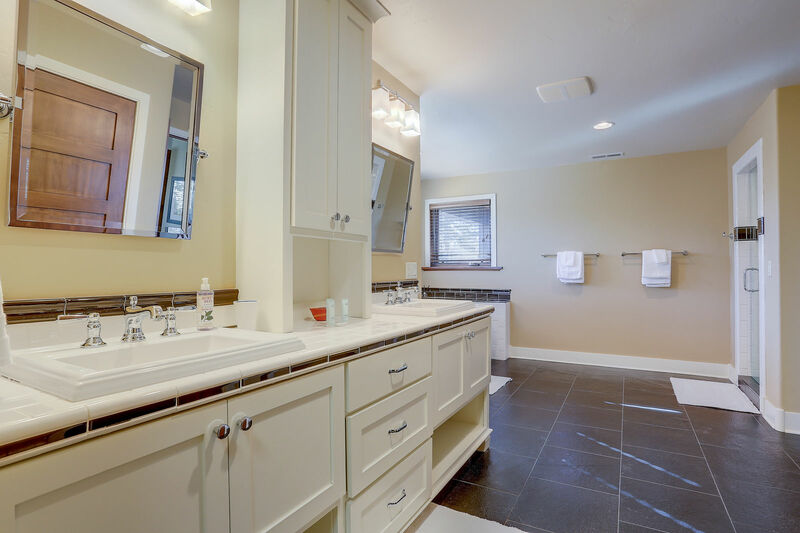 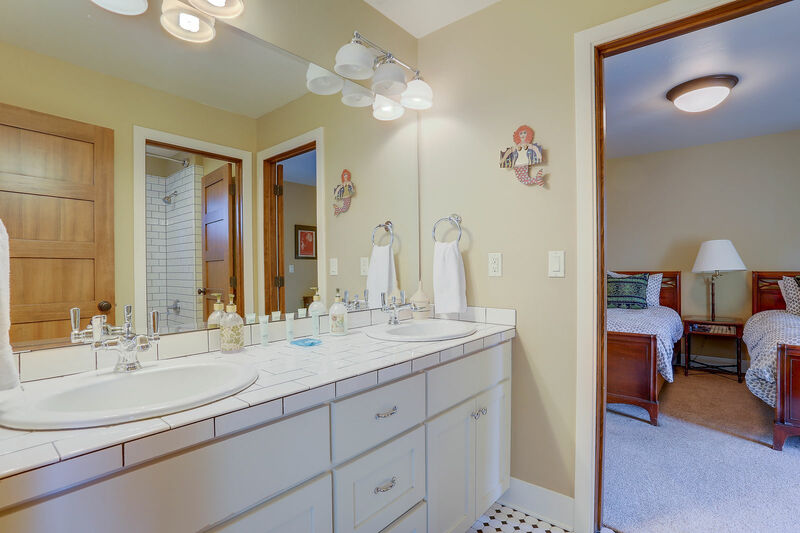 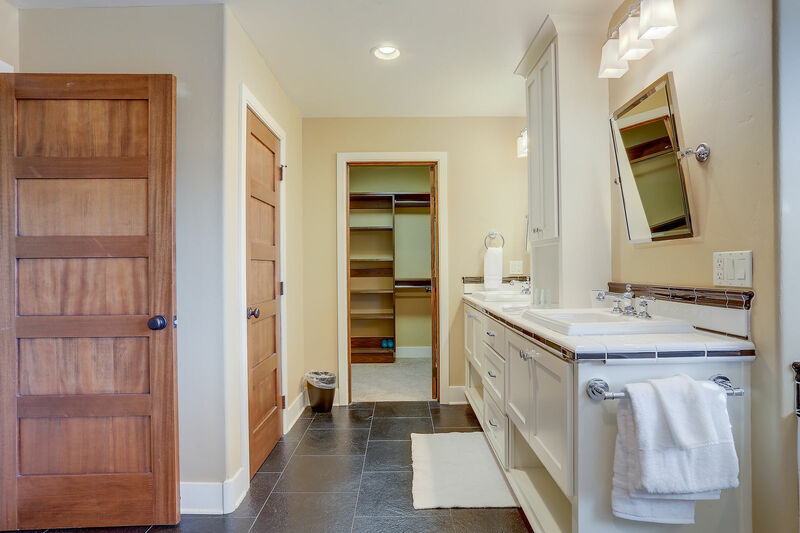 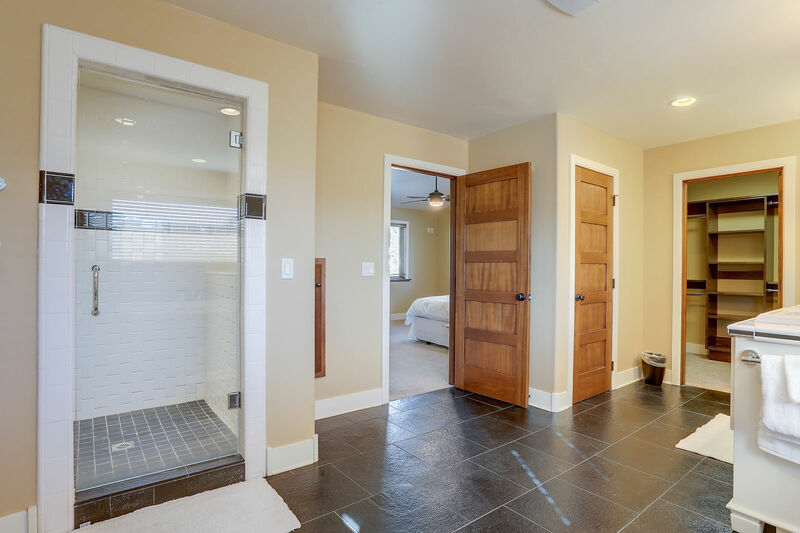 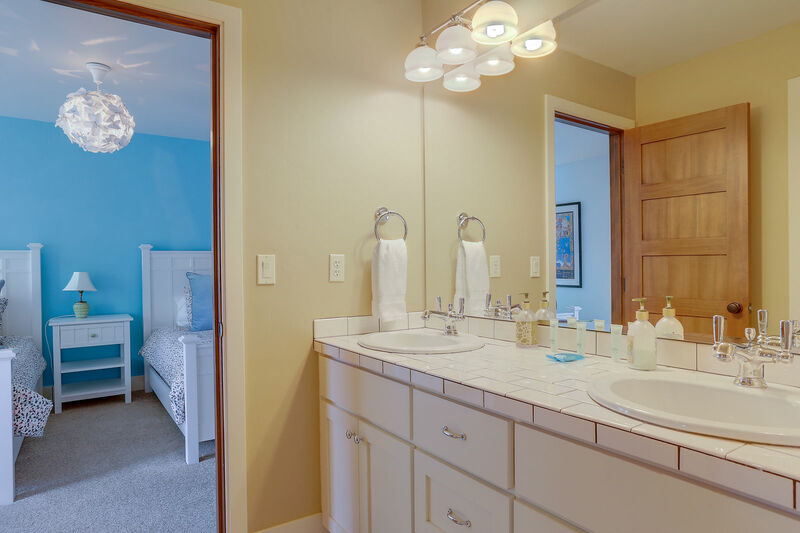 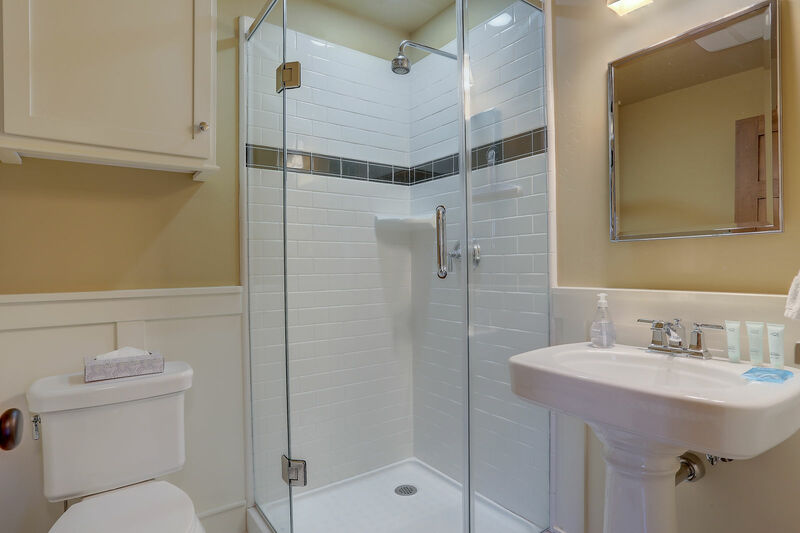 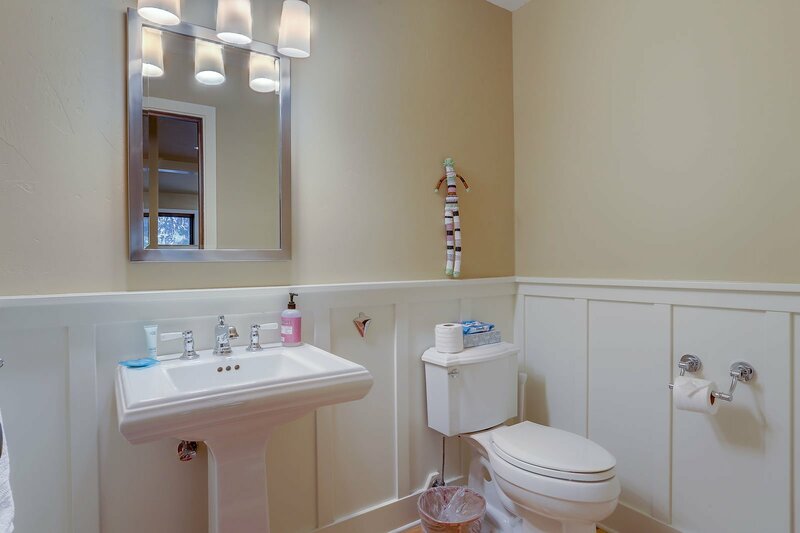 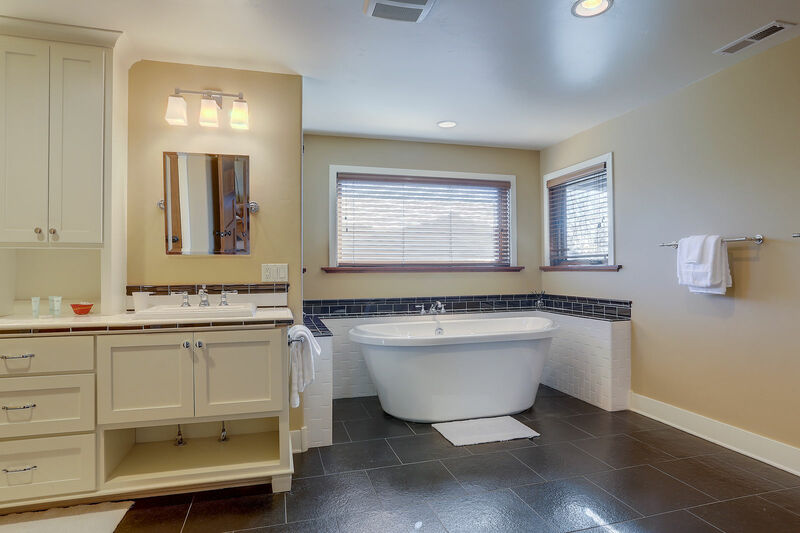 The Master Suite is located on the top floor, and features a large private bath with Japanese-style soaking tub, glass-tiled shower and double sinks. 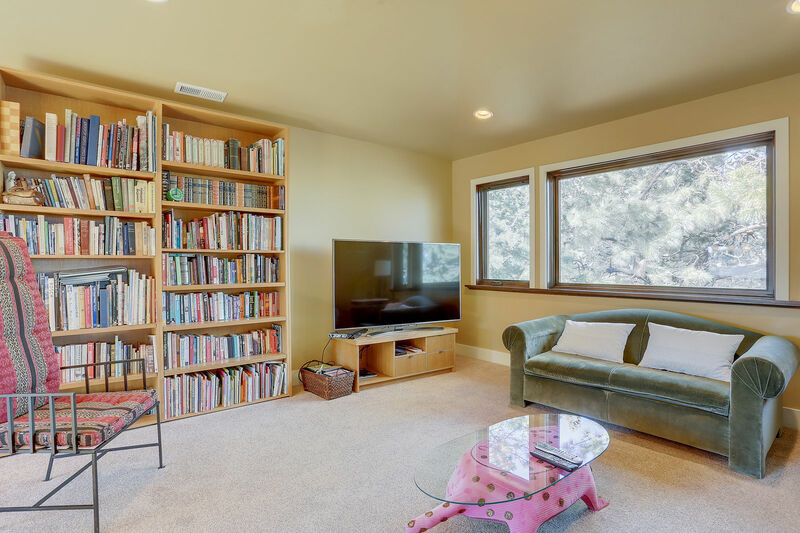 The Master also has a gas fireplace, and an adjacent sitting room with a large flat-screen television, queen fold out couch and library. 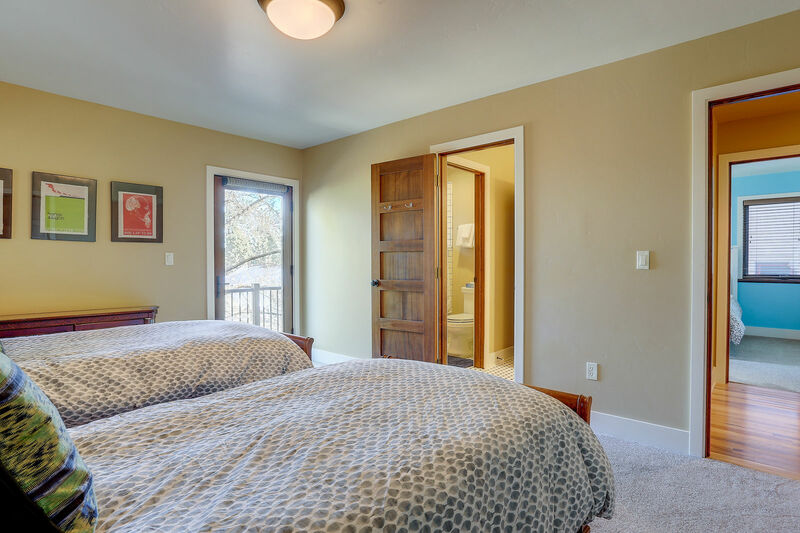 The Queen Bedroom on the first floor has easy access to a full bathroom on the same level, as well as a private door to the backyard and patio. 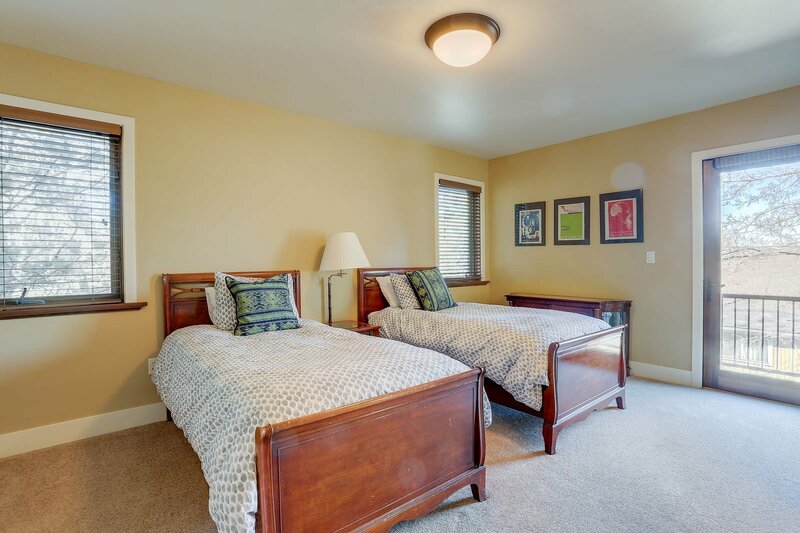 On the second floor are two additional Twin Bedrooms, with four twin beds total that share a Jack-and-Jill bathroom. 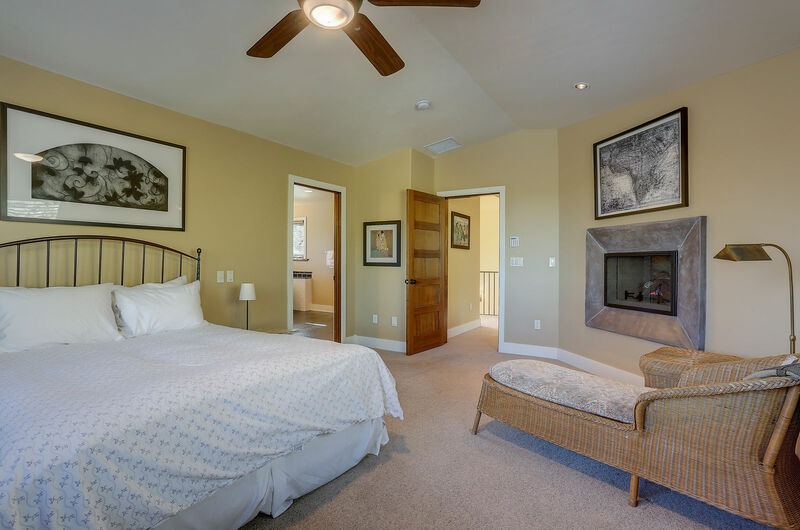 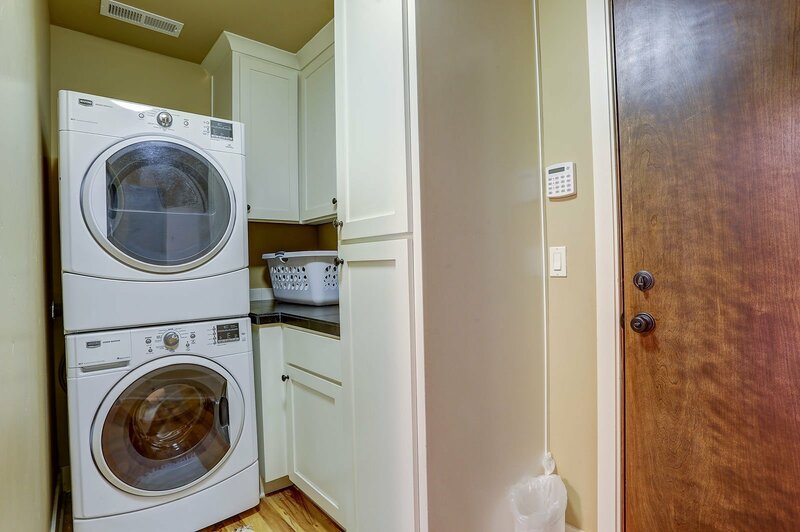 Hill Top also has high-speed Internet, cable television, gas barbecue grill and a two-car garage. 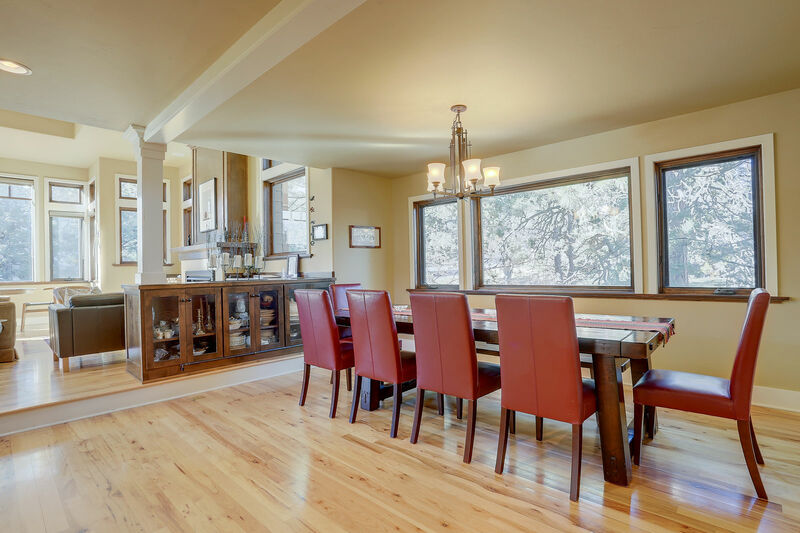 This is a great home for a family gathering, or for friends sharing a holiday.